A really awesome and worthy cause to support ~ which promises to be a lovely evening for adults & kids of all ages. Food and drinks by QOH, Oh So Sushi & The Horsebox Bar will be available for sale on the night. For table bookings please call QOH on (+263 771) 929 914. ***The deadline for photographic entries to WEZ closes on Monday 13th November. 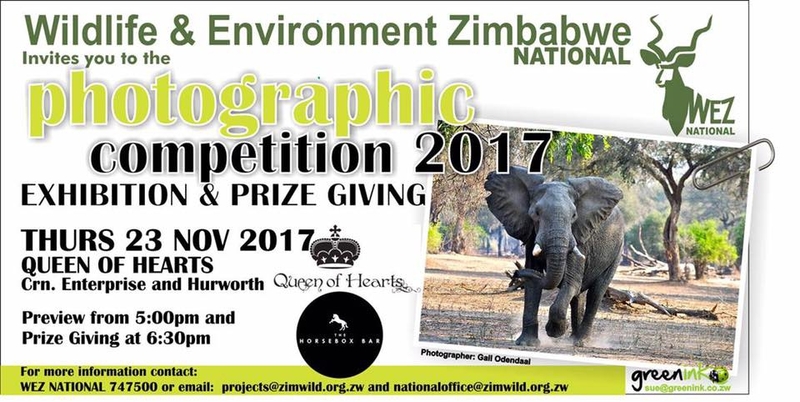 There are some incredible prizes up for grabs and each entry fee of $5 per photo goes towards anti-poaching, conservation & wildlife education.